The Rolling Stones are celebrating their half a century reign over the rock world by releasing a 352 page photo book. 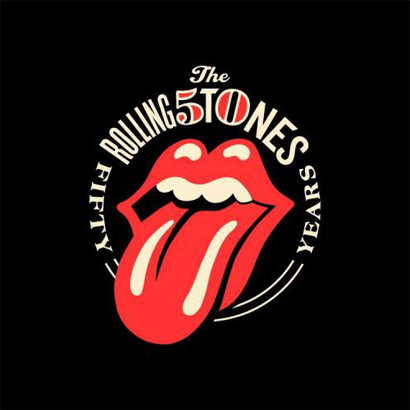 ‘The Rolling Stones: 50’ by Mick Jagger, Keith Richards, Charlie Watts and Ronnie Wood will be released on July the 12th, the same day in 1962 that the group performed for the first time at The Marquee Club in London. The book, which is a photographic autobiography for the group, contains a wealth of unseen and rare material. It is packed with reportage photography, contact sheets, negative strips, outtakes and much more, from every period in the band’s history. The images, which include some of the rarest and most interesting Stones’ memorabilia, are accompanied by the bands’ own words. The book will be produced by the UK’s Thames & Hudson publishers and contain more than 1000 images and illustrations covering the band’s glittering career. Since 1962 The Rolling Stones have sold more than 200 million albums and their ‘lick’ logo has become notorious throughout the world. The saucy symbol has even had a facelift by renowned American artist Shepard Fairey to commemorate the band’s anniversary (pictured below). ‘The Rolling Stones: 50’ will be available from the 12th of July priced at £29.95.